One way Brandon has led in modeling healthy behaviors is by appearing in the DAHLC Energy Burst Videos. His contribution demonstrates his ability to lead by example. He believe s in Mayo Clinic’s wellness vision, and understands how important it is that employees have the opportunity to participate in wellness initiatives. Besides his own wellness accomplishments, he strives to encompass all elements of wellness (physical, social, occupational, intellectual, emotional, spiritual, and environmental) in the work environment. Through his leadership, he demonstrates his ability to promote wellness by utilizing various communication vehicles. 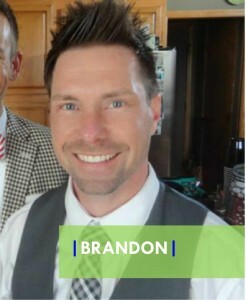 Brandon sends out weekly email announcements, has a Wellness News Page on his internal Website that promotes a variety of events/displaying videos/etc., as well as a bulletin board. He will even have speakers/presentations for staff, and gives committee updates during department meetings. Not to mention, he makes sure to celebrate successes of other individuals—and recognizes group- level accomplishments. Brandon is a great example of how the contribution of a Wellness Champion can impact the lives of others in a positive way.